The ​Annual ​Asphalt ​Paving ​Conference ​is ​New ​Jersey’s ​top ​event ​for ​professionals ​working ​in ​all ​phases ​of ​asphalt ​paving ​construction, ​operations ​and ​research. 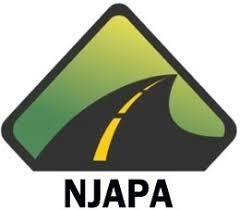 Now ​in ​its ​62nd ​year, ​the ​New ​Jersey ​Asphalt ​Paving ​Conference ​draws ​more ​than ​300 ​consultants, ​ ​contractors, ​suppliers, ​designers, ​government ​agency ​employees, ​researchers, ​and ​others ​involved ​in ​the ​paving ​industry. This ​is ​the ​perfect ​opportunity ​to ​stay ​current ​with ​the ​latest ​advancements ​in ​the ​industry ​and ​make ​connections ​with ​other ​professionals ​to ​share ​your ​ideas, ​challenges, ​and ​success ​stories. 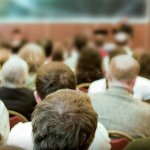 ​ ​The ​event ​is ​widely ​attended ​by ​asphalt ​paving ​contractors, ​consulting ​engineers, ​county ​engineers, ​road ​supervisors ​and ​municipal ​engineers. Speakers ​address ​issues ​of ​quality, ​research, ​product ​and ​process ​innovations, ​recycling, ​deep ​strength/full-depth ​asphalt ​and ​related ​construction ​practices.